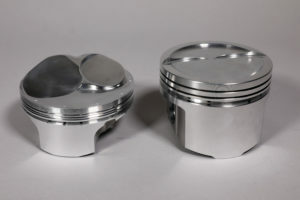 Forged pistons can be made of either a forged blank (right), where the entire shape of the piston is machined out of a billet aluminum cylinder, or created from a net forging that is squished closer to its final shape via a forging die (left). 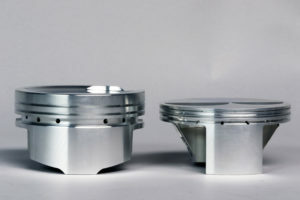 The piston on the right uses a 5/64in ring pack. This is a very common size used during the muscle car ere. 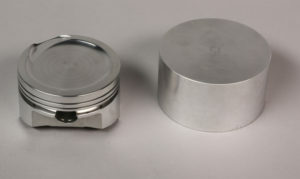 The piston on the left uses a much thinner 1.00mm top ring. This reduces friction, freeing up horsepower and allowing the engine to rev quicker. 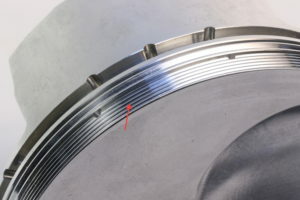 Anti-detonation grooves (arrow) are designed to help reduce pressure spikes while contact reduction grooves (just below the crown) reduce how much of the piston’s crown surface make contact with the cylinder wall. 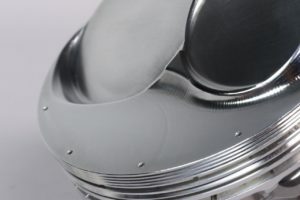 Shortening the piston skirt is a good place to remove mass, but also can be mandatory in stroker applications. 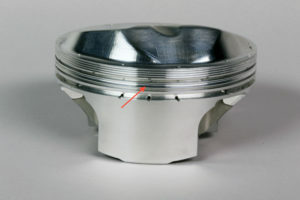 Racing pistons can also have different skirt profiles to help them stay stable in the bore at high rpm. 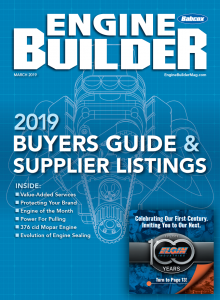 Finally, some engine builders call for very slight adjustments in the overall piston shape and dimensions to suit their needs. 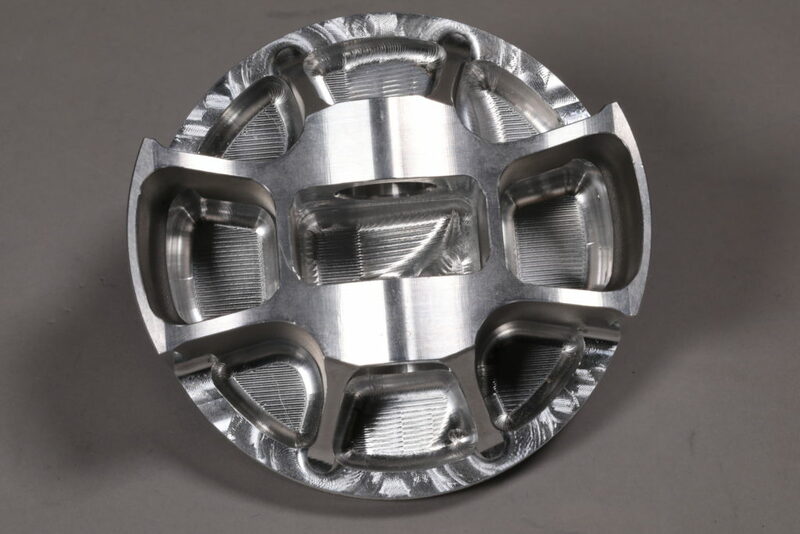 “Skirt cam/barrel shapes and ring-land diameters are part of the black art of optimizing a design during a development program,” says Stevenson.